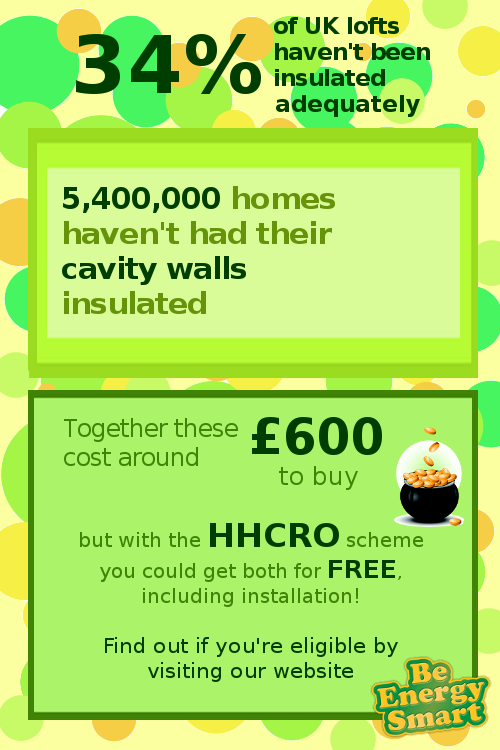 Are you one of millions who could benefit from free insulation? See if you’re eligible for the HHCRO here! This entry was posted in Grants, Offers & Funding and tagged Cavity wall insulation, Free insulation, HHCRO, loft insulation. Bookmark the permalink.